A large group of scientists now agree that statistical significance is confusing research conclusions from all sorts of studies, including those on vitamin D! A statement released by the American Statistical Association in 2016 warned against the misuse of statistical significance and P values. 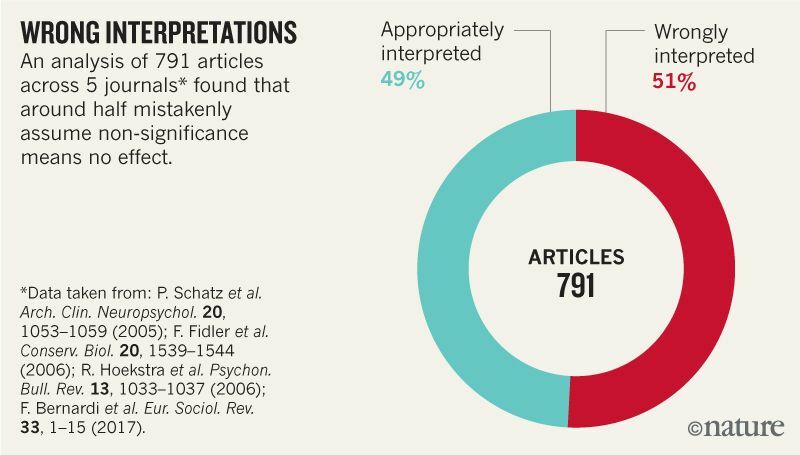 Last month, a commentary article published in Nature called for the abandonment of the concept of statistical significance. Prior to publication, the article was signed and endorsed by more than 850 statisticians, researchers, and other scientists from around the world – whose past or present work depends on statistical modelling. What is “statistical significance” and what does it mean for vitamin D? “Significance” in scientific research terms is a computation done during data analysis to evaluate the strength of the evidence. It is also called the P value. 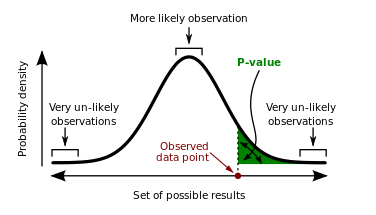 The P value is a probability, a percentage. In this calculation, the P value was .06, which means that there is a 6% chance that this result (30% reduction in cancer in the vitamin D + calcium group) was due to chance – not the actual treatment. In a different wording, that means you are 94% sure it was NOT chance! It is standard practice within the scientific community that P=.05 or less is an accepted amount for study results to have “significance” and anything higher than P=.05 is “not statistically significant.” There is no middle ground, it is black or white. Does “not statistically significant” mean “no difference”? A look at the chart below illustrating the results from this study may portray a different conclusion. 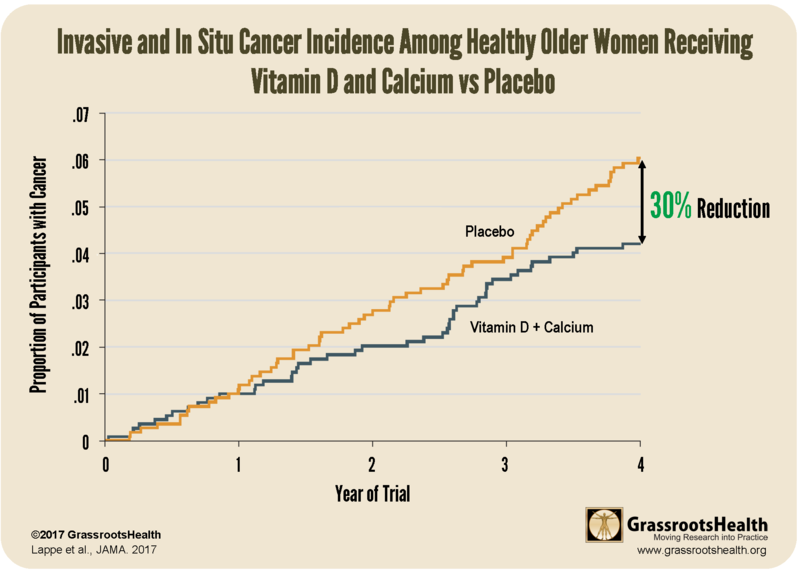 However, when participants who withdrew from the study or developed cancer within the first 12 months were excluded from analysis, the study reports a 35% reduction in cancer in the vitamin D + calcium group compared to the placebo group (P-value = .047). This was a “statistically significant” difference. Why would they take out year 1 data? Even without removing the first year of data, we ask you this… should the original conclusion showing a 30% reduction in cancer be ignored because the P value was .01 greater than what scientists have labeled as acceptable? How would you interpret this information to help you make your own health decisions? How does this apply to D*action? One of the ways to improve statistical power (i.e. the ability to detect a significant result if one exists) is to use a larger sample size. The more people that test their levels and fill out the D*action questionnaire, the better research we are able to conduct!